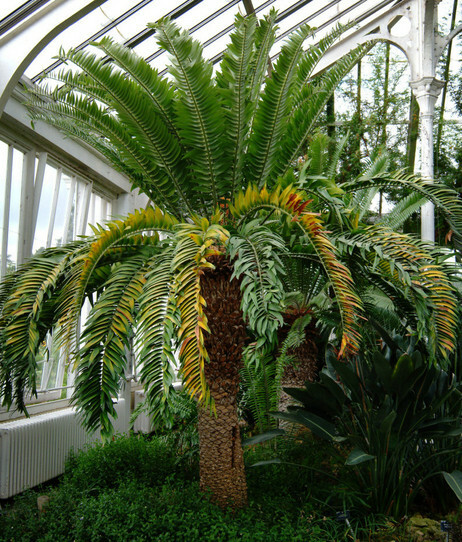 TYWKIWDBI ("Tai-Wiki-Widbee"): The loneliest cycad ? The problem is, these trees cannot fertilize themselves. 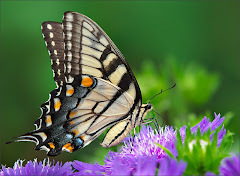 Some plants contain male and female parts on the same individual. Not E. woodii. It is, as the botanists say, dioecious. It needs a mate... But what if you can't find a mate? The tree in London (and its clones that are now growing in botanical gardens all over the world) is a male. It can make pollen. But it can't make the seeds. That requires a female. Researchers have wandered the Ngoya forest and other woods of Africa, looking for an E. woodii that could pair with the one in London. They haven't found a single other specimen. They're still searching. .. Hybrid cycads are sold at plant stores, but those plants aren't the real deal. The tree that sits in London can't produce a true offspring. It sits there, the last in its long line, waiting for a companion that may no longer exist.Unless a female exists somewhere, E. woodii will never mate with one of its own. Kinda reminds me of the suituation with the Cafe Marron. There has been progress made with producing more of the plants, at Kew's.